Your household may seem to swirl like a tornado much of the week, but there are some reprieves from the chaos. 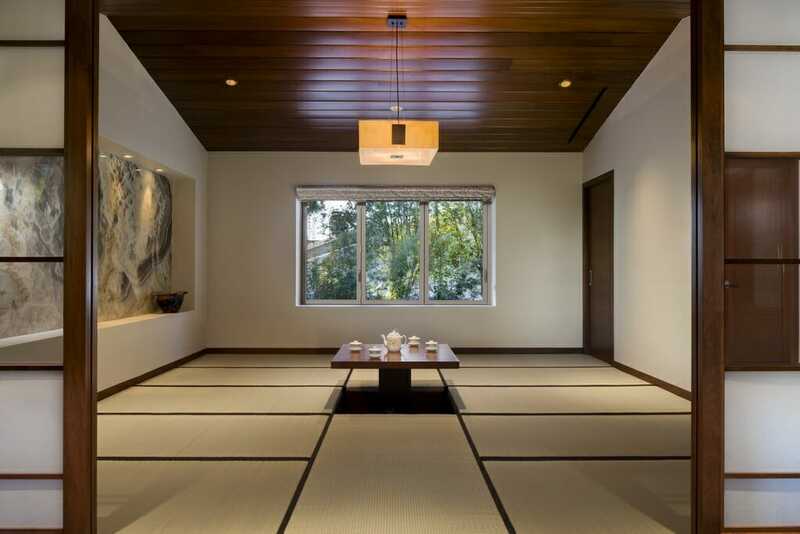 Meditation rooms are nothing new and are often added to a home with an Asian-inspiration behind them. You don’t need to have a million-dollar home to enjoy these spaces. From huge, separate rooms to hidden outdoor spaces, feast your eyes on some seriously dreamy meditation rooms. You’ll want to dive right in and zone out until dinnertime. Before the pool area becomes a party until midnight, use the far meditation room at the sea’s edge for some tranquil reflection. Listen to the ocean waves as you look out on the blue water. Lie out or sit upright, depending on your meditation desires. The shaded space keeps the sun off your face as you concentrate on your internal feelings and breathing patterns. The simplicity of this cool meditation room calms you almost immediately. Anticipating the tea is part of the relaxation process, too. Tea leaves are known to have antioxidant and calming herbs as you sip the warm drink. Add a few cushions to this space and dim the lights. This room gives you the option of maintaining a relaxed feeling by looking at the neutral-color walls or viewing the outdoors. You’ll be calm in no time. Stepping out onto this platform gives you the perception of being separate from the world around you. Because it’s suspended over water, it appears that you’ve left ground on a meditation journey. 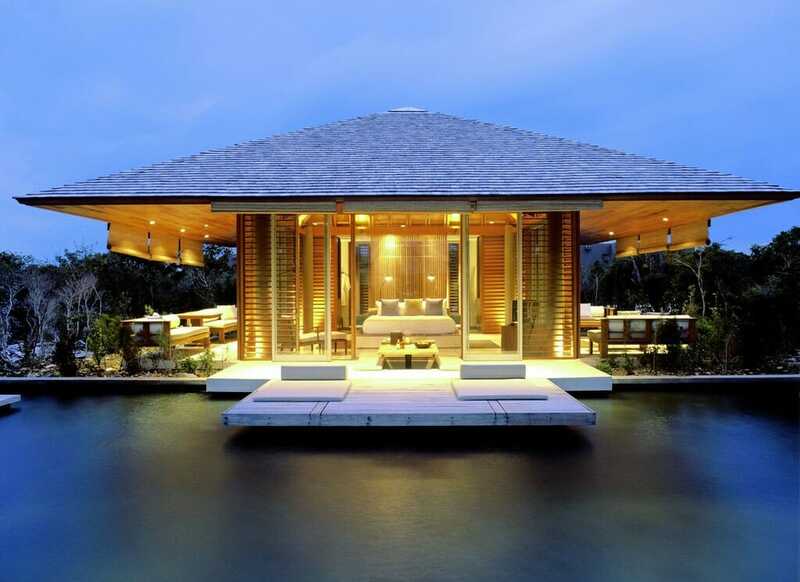 Allow this water fantasy to permeate your mind to bring in those calm thoughts. Only when you’re ready do you need to return into the home and back to reality. Does nature make you feel better? This meditation room uses the forest as your room “walls.” Lie out and stare up at the canopies. Calm breezes rustling the leaves and pine needles take you away to another level. This designer had the foresight to keep up the meditation room even in rain or snow. Simply hop inside the small adjacent building and look out the window when the outdoors is too volatile. 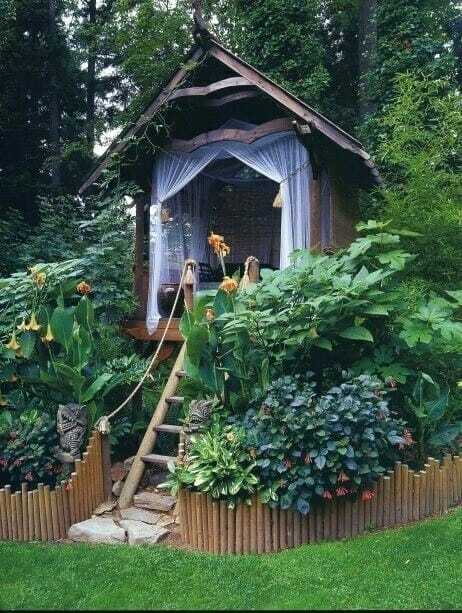 If the kids abandoned the tree house, make it your own meditation room. Strip it down to the wood interior, and add a cushion and these sheer curtains. Voila! 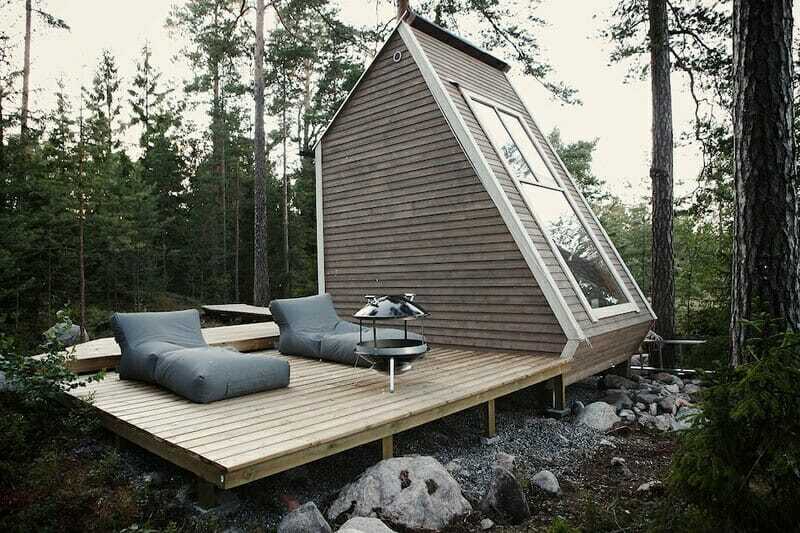 You have a perfect retreat from the wild weekdays. If you meditate better while submerged in water, use this bathhouse as a meditation room. Use the smooth space beside the integrated tub to lie out on cushions. When you’re ready, hop in the hot bathwater and soothe any aching muscles. 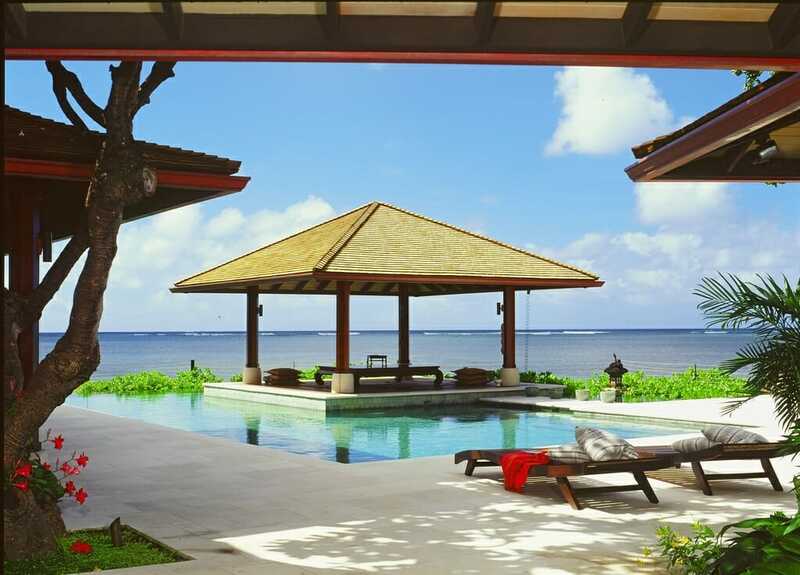 Harmony between the mind and body is quickly found with this getaway. Don’t forget some soothing bath salts to complement the meditation.